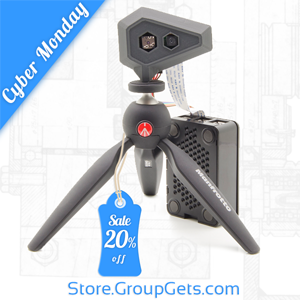 The holidays are here and GroupGets is offering a sweet 20% discount for specialized products starting NOW through Cyber Monday. All those tech components you've been eyeing, from the Raspberry Pi Lepton development kit to the high-powered UV-LED lights, are now cheaper to save you money for holiday gifts. Use the coupon code HOLIDAY20, it will expire on Monday, November 30th at 11:59 p.m. Start shopping! GGLabs is proud to present the next generation FLIR Lepton development platform. 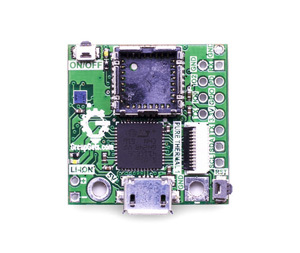 The Pure Thermal FLIR Lepton Dev Kit v1.1 is a standalone development platform including on-board STM32 ARM processor, digital video output over USB, and analog video output port. It even has a battery charger circuit for a truly portable operation. Stay tuned for further announcements. Our custom Raspberry Pi 2 Model B and FLIR Lepton Development Kit is currently 20% off through Cyber Monday. Not only that but three other custom tech products are also 20% off, more information is posted below. It's our gift to you during the holidays. Use the coupon code HOLIDAY20 to receive the discount. 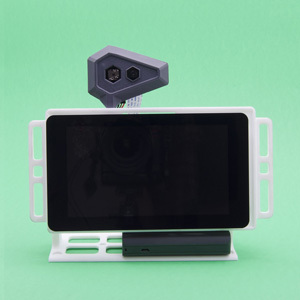 This custom-designed portable Raspberry Pi and Touch Screen Mount, with an adjustable stand, was featured on Hackaday and at the SoCal MakerCon! It allows you to easily and securely display your Raspberry Pi project. The mount has an adjustable tilt and the base has space for a large USB battery pack, which makes this display portable for applications like digital signage or field engineering. 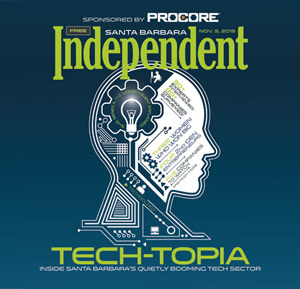 GroupGets was recently mentioned in the Santa Barbara Independent's Tech-Topia cover story. The article highlighted the burgeoning tech startup community that's quietly booming in Santa Barbara County. The GroupGets Team is proud to be part of the exciting and innovative achievements happening in our hometown. Are you interested in learning how a group buy can increase revenue for your company? Read the latest article by GroupGets detailing the 6 Ways a Group Buy Will Boost Business. It's a creative alternative to create sales without the hassle and GroupGets is well equipped to help facilitate! It was very busy for the GroupGets team this November. 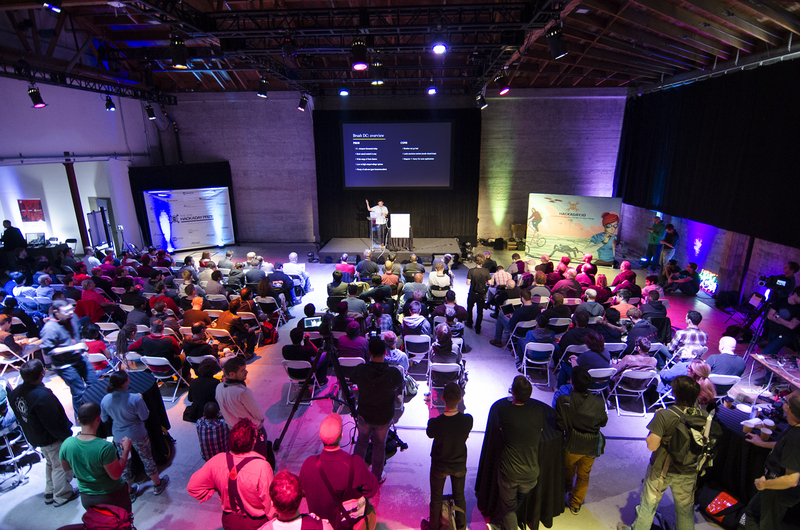 Our makers and hackers traveled to the Los Angeles area for the SoCal MakerCon and then a week later traveled to San Francscico for Hackaday's first-ever SuperConference. Read more highlights about these two awesome events at GroupGets.com/Blog. GroupGets is offering a 20% discount on four fantastic tech products: Raspberry Pi & Flir Lepton Dev Kit, Hamamatsu u-spectrometer, Nichia High-Powered UV-LED lights, and Flir Lepton breakout board v1.4. Visit Store.GroupGets.com and use the coupon code HOLIDAY20 to get these holiday discounts! GroupGets CEO Ron Justin will be a judge at UNLV's Senior Design Awards and Competition for their Engineering College on December 3rd. If you're in Vegas, check it out! We've updated our group buy format so now all deals will countdown to an ending once they've met the minimum quantity, instead of an expiration date. Check out the new format. Is there a product you'd like to see offered on GroupGets? Launch your own campaign! It's fun, easy, and you can even get $$$ back. Read more about our Group Gets Incentive Program. Don't forget to follow us on Facebook or Twitter for the latest #GroupGets updates. 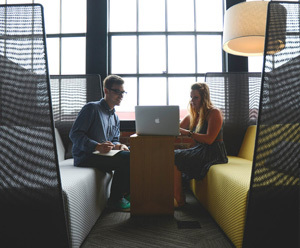 Stay informed with our helpful blog posts and connect with us on LinkedIn! Hit us up with any questions or tips, or swing by our SB Hackerspace office.